2 By the seventh day God completed His work which He had done, and He rested on the seventh day from all His work which He had done. 3 Then God blessed the seventh day and sanctified it, because in it He rested from all His work which God had created and made. 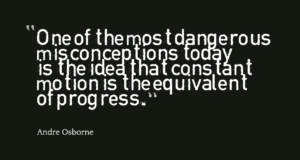 One of the most dangerous misconceptions today is the idea that constant motion is the equivalent of progress. As a boy, resting was never one of my favorite things to do. One Saturday, in particular, I remember rising early to get to the park and play, only to discover that my overworked mother had decided to sleep in. I promptly called my Aunt and asked her to come get me because “her sister was sleeping her life away!” It took a while, but I finally learned the value of rest. It took going through burnout to help me acknowledge the importance of proper rest. However, it would take even more time for my convictions to be changed, for I had yet to come to the realization that God’s activity is not limited to my labors, but God is active even in rest. You see, rhythms of rest are equally as important as rhythms of work. God demonstrated it in Genesis 2, when after completing His creation, He rested! He did not rest to recuperate from physical exertion, He rested to demonstrate the need for absence or cessation of labor. Let me pause here friend and say, if the God who created you rested, so must you. Jesus also demonstrates it in the gospels. He was asleep on a pillow on the hinder part of the ship! He brought a pillow along, which indicates that He planned to go to sleep! His rest was on purpose. 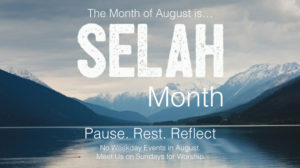 For the entire month of August, we are intentionally building rest into our schedule and we’re glad about it. 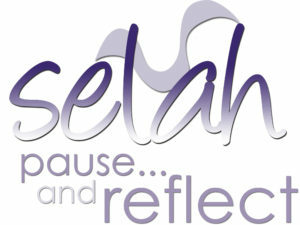 We are discovering the value of taking time to Rest, Reflect, Pause, and Pray. For Tabernacle, this means we are taking a refrain from weekday meetings and services. We are going to pour our all into family time in August and gather as a corporate body for worship on Sunday mornings. Our admin team has so kindly compiled a small list of suggestions for how you can enjoy time with your family. It’s not just the pause however, it’s what happens afterward. After rest, look forward to renewed focus, emotional calm, mental clarity, and feeling physically recharged. Rest well now, you’ll be thankful later! previous post: How To Finish Strong!